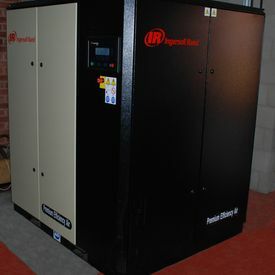 The new Ingersoll Rand compressor supplying compressed air to the AKI factory at Hereford has a variable speed motor to match air generation more exactly to system demand. It stops compressor leaks and works more efficiently than previous fixed speed units. Many companies are still unwittingly operating compressor systems very inefficiently through excessive idling and unnecessarily over-pressurising systems. Accordingly, whilst the new Ingersoll Rand cost £24,000, it saves AKI £13,000 a year in energy and significantly reduces the plant’s carbon footprint. 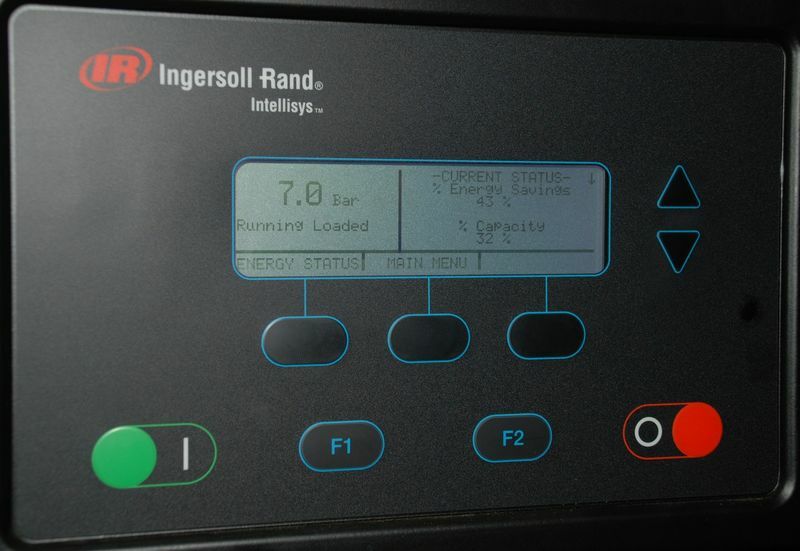 The compressor’s Intellisys display pictured registers energy savings as high as 43%.